The actress talks about the importance of taking breaks from her phone and the thing that gives her lots of energy. 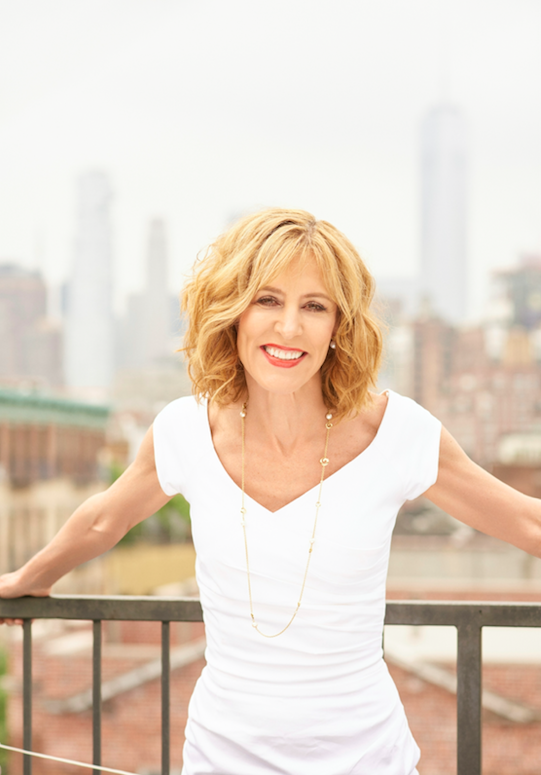 Christine Lahti: I’d love to be able to say that I review all that I’m grateful for while doing three Sun Salutations but the truth is, I do a quick check of texts and emails. Then during coffee, I also check Huffington Post which I love even though I was skeptical when Arianna first shared the idea with me on a hike many years ago. Read my news on a computer? Blogs from celebrities? Really? Nah, that will never catch on, I thought. CL: Besides caffeine, working out and working hard give me incredible energy. I love indoor cycling, outdoor cycling and going to the gym. I exercise at least 6 days a week doing something. Endorphins are my favorite addiction. After popcorn. I also find when I’m the most creatively stimulated, I have tons more energy. TG: Tell us about your relationship with your phone. Does it sleep with you?CL: No, it’s as far from my pillow as possible while still being to hear the white noise app that I use; Simply Rain. It’s really important to me to take breaks from it; during long hikes with friends, while writing, when reading a good book. CL: If I’m home in LA, I might play catch with my dogs or take a quick walk to the ocean (it’s close). I find the sound of the waves very meditative. Christine Lahti is the author of True Stories from An Unreliable Eyewitness: A Feminist Coming of Age (Harper Wave 2018), an acclaimed director and stage, television, and film actress with a career that spans over forty years. She won an Oscar for her short film, Lieberman in Love; an Oscar nomination for Swing Shift; a Golden Globe Award for No Place Like Home; an Emmy Award and a Golden Globe Award for Chicago Hope; and an Obie Award for Little Murders.